The Super Soaker® brand name has captured approximately eighty five percent of the worldwide water gun market. Sales for this remarkable toy reached an impressive $200 million in 1992. Since that time, the water gun that revolutionized the toy water gun industry has generated sales of almost one billion dollars. Each year since its introduction, the Super Soaker® has found its place among the top ten best selling toys of the year — a remarkable accomplishment for a toy with primarily a summer only selling season. 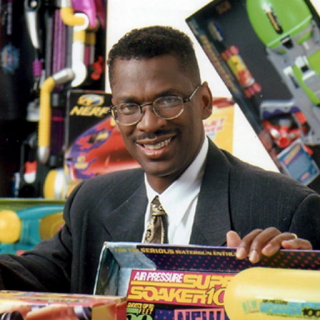 This wildly successful toy was brought into being in 1982 when Lonnie Johnson, founder and president of Johnson Research, was experimenting at home with another invention, an environmentally friendly heat pump. He attached a high pressure nozzle to the bathroom sink and when it shot a powerful stream of water across the bathroom into the tub, his first thought was, “This would make a great water gun!” Acting on that idea, he made a water gun prototype for his daughter. When it proved to be a huge success with her neighborhood friends, he began the search for a potential manufacturer. After several false starts, the Super Soaker® was licensed in 1989 to Larami Corporation. In 1995, Larami sold Super Soaker® to Hasbro Corporation. With the Super Soaker®, Hasbro remains the undisputed dominator of the water gun market in the world today. The competitive advantage of this toy has been maintained worldwide by an array of intellectual property rights owned by Lonnie Johnson. Capitalizing on the success of the Super Soaker®, Johnson founded Johnson Research and Development Co., Inc. with the objective of bringing advanced technology to the toy and consumer products industries and developing a synergism wherein the creativity and innovation of the toy industry would inspire innovations in technology. With Johnson’s experience and knowledge, from toys to advanced space systems and environmental technology, Johnson Research is developing leading edge technology from consumer products to alternative, environmentally friendly methods of power generation. Under Lonnie Johnson’s leadership, Johnson Research has incubated two spin off companies – Excellatron Solid State, LLC, and Johnson Electro-Mechanical Systems, LLC – to develop these revolutionary technologies. We also work jointly with many industry leading firms to address specific market needs. Johnson Research has another license agreement with Hasbro which covers the design, engineering and development of NERF® soft foam dart guns. These toys, like the Super Soaker®, have outlasted national trends and the traditional one to two year life cycle for toys. The NERF® product line includes several new items each year, and continues to be a staple of summer outdoor toy lines. Another success story involves the design, development and engineering of a new generation of Estes Air Rockets. Estes, long known as the standard in toy rocketry with a product line of black powder rockets, implemented the Johnson Research air power technology into its product line in 2000, and has since become known for its air powered rockets. With this technology, the Estes line of products has expanded from the traditional hobby market into the much larger retail toy market. Since its establishment, Johnson Research and its spin off companies have performed advanced research projects for the government to develop a number of inventions including a Plasma Enhanced Chemical Vapor Deposition (PECVD) process for making thin film batteries, a power scavenging device for extracting ambient energy from the environment to generate electrical power, a fuel cell that operates at intermediate temperatures (200oC to 400oC), and a direct thermal energy conversion device for generating electrical energy from converting low grade waste heat (<100oC). Johnson Real Estate Investments, LLC (JREI) is a commercial real estate company providing development, renovation and management of property in the City of Atlanta which not only houses the Johnson group of companies, but also provides a vehicle to help revitalize the downtown area. This project reflects a vision by company founder, Lonnie Johnson, to help stimulate economic growth in Atlanta’s inner city. The success of the Super Soaker® has generated and continues to generate an abundance of press. Public interest in the man who invented the technology behind the Super Soaker® surges and resurges through the years, and the activities of Johnson Research are continually in the public eye. 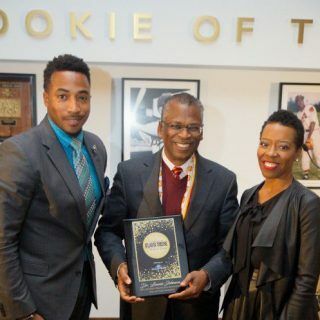 Media events on Lonnie Johnson and Johnson Research include the Oprah Winfrey Show, Science Times/National Geographic TV, Time Magazine, and the New York Times.